The United Nation as General Assembly designated 15th June as World Elder Abuse Awareness Day (WEAAD). It is the main day in the year when the world voices its opposition to the abuse and suffering inflicted on older people. In many parts of the world, elder abuse occurs with little recognition or response. Until recently, this serious social problem was hidden from the public view and considered mostly a private matter. Even today, elder abuse continues to be a taboo, mostly underestimated and ignored by societies across the world. Evidence is accumulating, however, to indicate that elder abuse is an important public health and societal problem with 1 in 20 older people experiencing some form of abuse. The purpose of the WEAAD is to encourage communities to recognise the problem of elder abuse and for countries to create policies that foster respect for elders and provide them with the tools to continue to be productive citizens. Stand Up and Speak Out about abuse of older people and demonstrate your support by holding an event to mark WEAAD. Every year we here at ARAS mark WEAAD with a conference for aged care professionals to reinforce the message: 'There's No Excuse For Abuse' and let older people in our communities know they have rights, including a right to be safe and to be treated with dignity and respect. 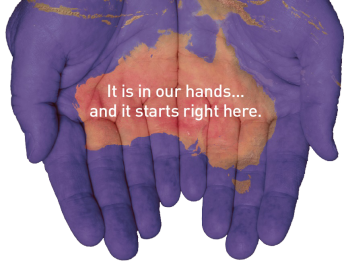 This year WEAAD conference will be held on Monday, 17th June at the Stamford Grand Adelaide.